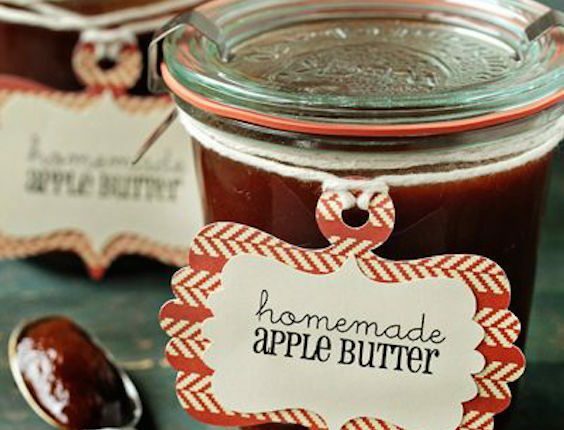 Check out this great collection of adorable and affordable fall wedding favors including some DIYs for all types of budgets and venues. 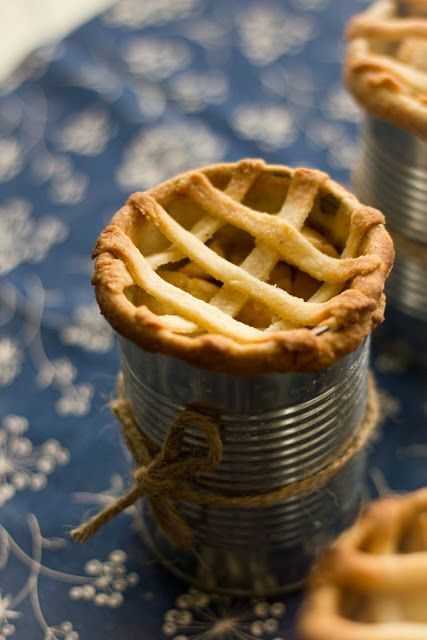 If you are you handy in the kitchen, you may want to create these super original and delicious fall wedding favors: Apple pie In a can! And btw, I want one too! 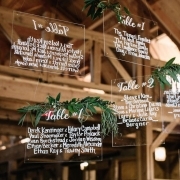 If you are planning an autumn wedding, start taking notes! These original and affordable fall wedding favors will have you “falling” in love with your choice of season all over again. 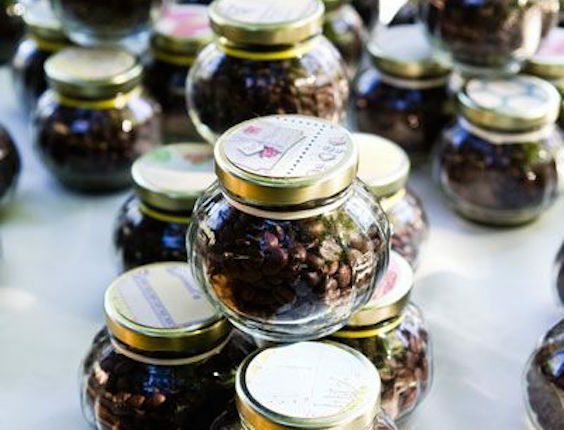 Delicious jams, sweet honey jars, aromatic coffee beans and some whimsical favors you can DIY yourself (or your guests!). Take your pick!! And oldie but goodie in the world of wedding favors, are those you can eat. Who doesn’t like a sweet treat at the end of the night? The old standbys include Jordan almonds and personalized mints or mini chocolate bars. But it is ok to make a departure in the candy department! 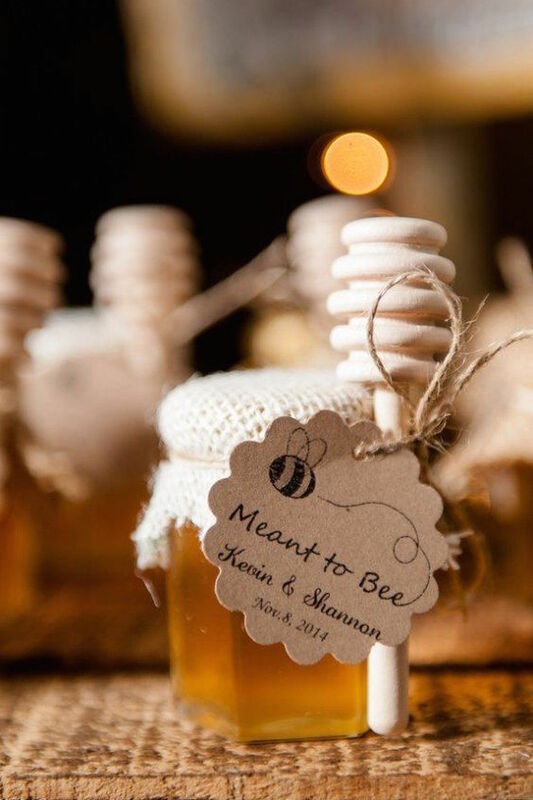 Some fun trends include Oreo cookies covered in your wedding colors, mini S’mores kits, popcorn, mini champagne bottles, sauces and locally sourced honey packaged in little jars. If you feel unsure of your skills in the DIY arena, you can make purchased goods feel just a special by adding little touches such as ribbons or decorative paper. For those do-it-yourselfers out there the sky is the limit. Thanks in part to social media and to our blog (ahem!) there are many tutorials in here for the less than creative that want to give the DIY fall favors a try. Furthermore, the latest thing is to have your guests wrap their own favors, so why not give that a try? 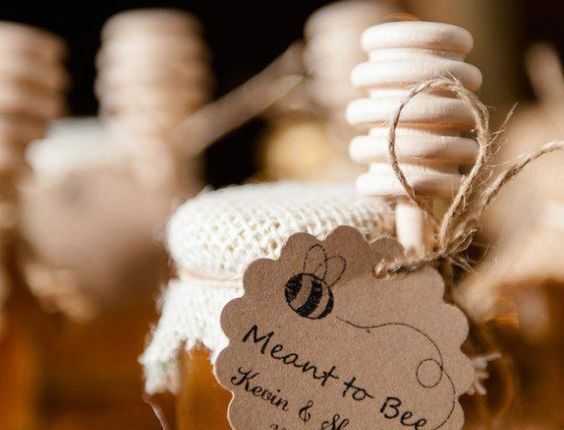 Brides can offer fun items like lip balms, jams or sauces, tiny bottles of specialty drinks (think moonshine types that are all the rage), packages of coffee beans, potted flowers, tote bags, the list goes on! A few snips of ribbon and some jazzy embellishments is all it takes to brighten up and personalize your items. 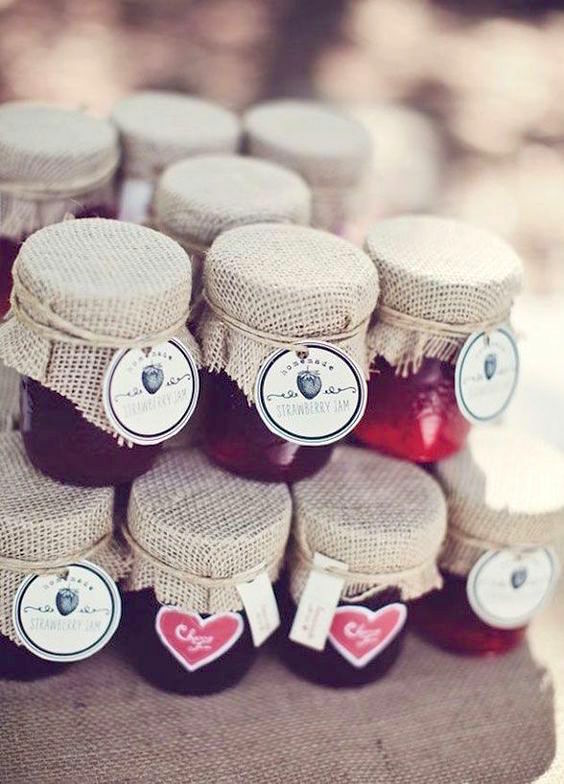 Great fall wedding favors: Homemade jam or chutney. Yum! 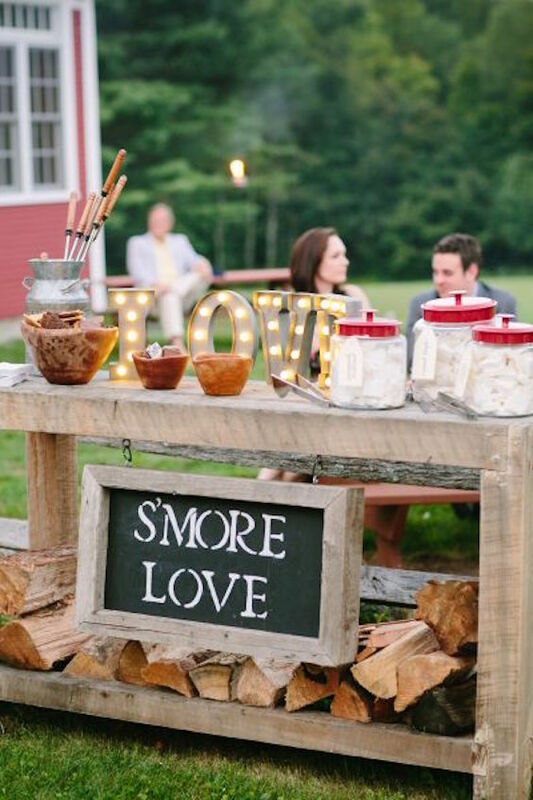 “Have S’more Love” perfect favor for autumn. This is absolutely a great idea! 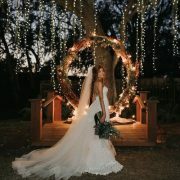 Photography: Colin Cowie Weddings. 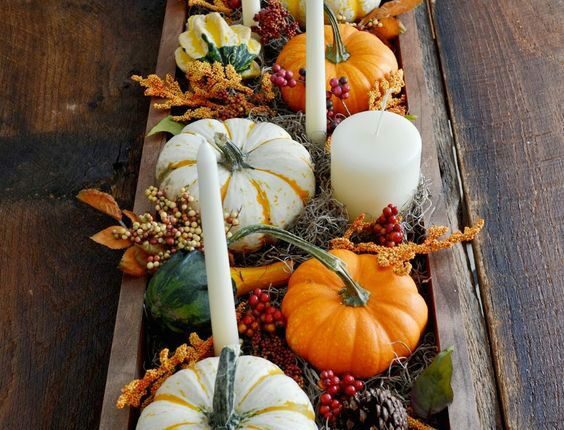 The last thing you want is for your guests to leave their carefully selected autumn favor behind. 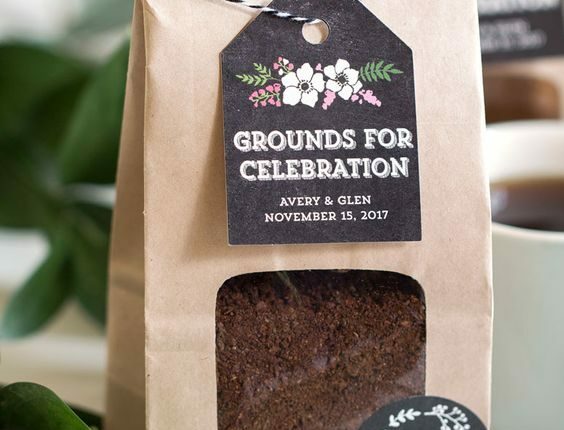 Savvy brides know a thing or two about this and find unique solutions for their fall wedding favors. 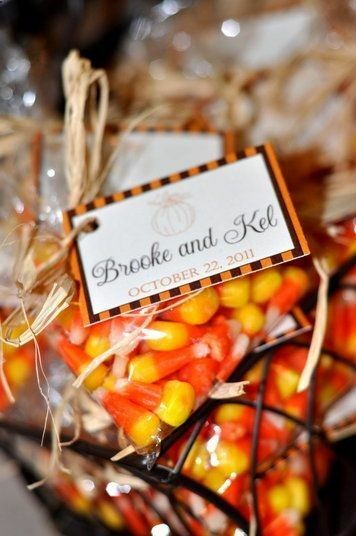 Nothing says easy and affordable fall wedding favors more than bags of candy corn. Doughnuts are all the rage at weddings. 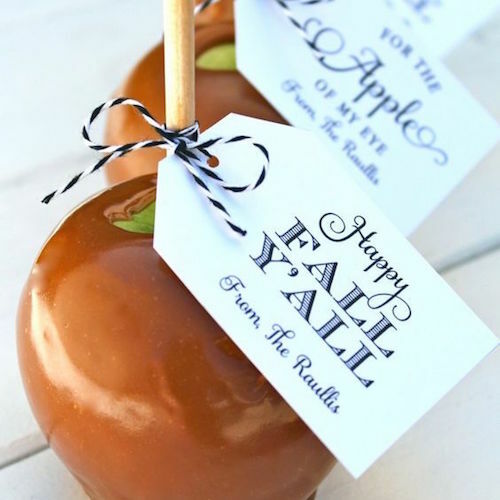 Give your guests edible and affordable fall wedding favors. 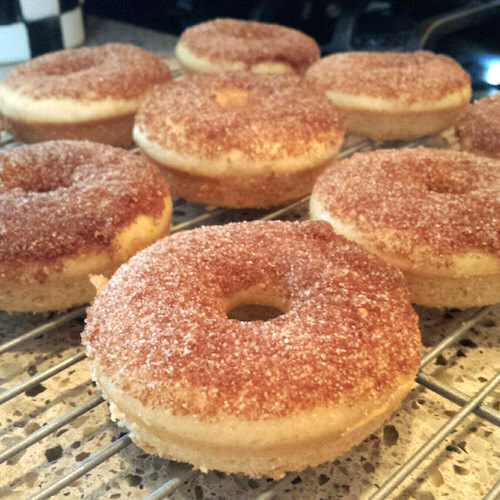 Homemade, baked apple cider doughnuts coated in melted butter and a white sugar/brown sugar/cinnamon mixture. Delicious and moist! 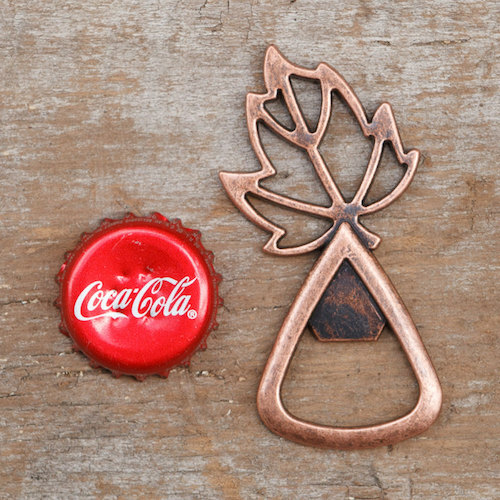 These gorgeous leaf openers will add a unique vintage flare to your wedding or other event decorations! They are truly a decoration and party favor all in one! Unique fall wedding favors. Wooden spoons for Chili Cook-offs! How cool is that? A fall wedding favor your can do yourself. 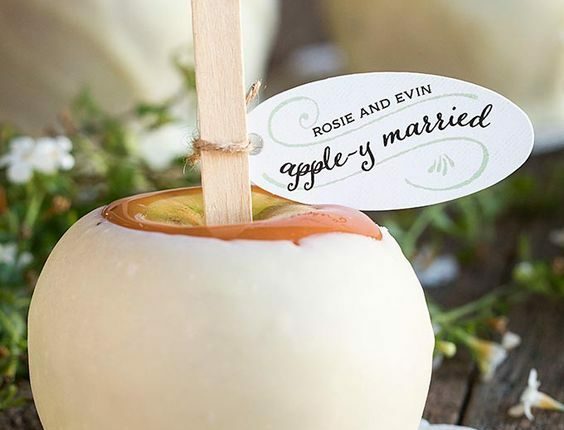 Caramel apples with a personalized tag. 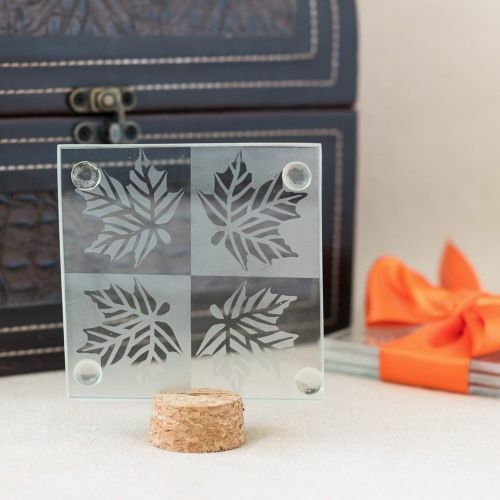 Incorporate the beauty of fall into your wedding with these autumn leaf glass coasters. 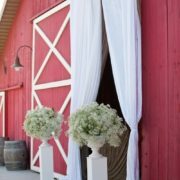 Original and unique fall wedding favors that your guests will love. 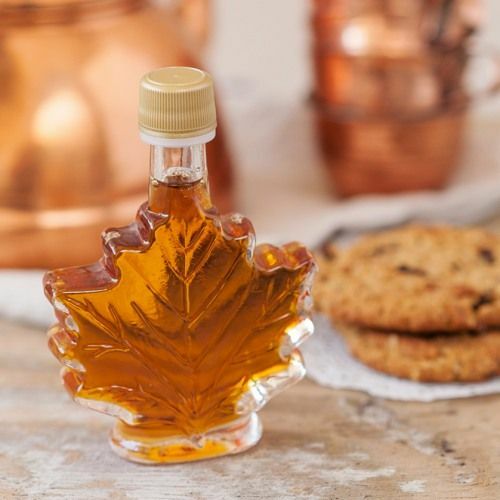 Maple syrup bottle favor. Doughnut favors from Cedar House Sweets. Leaf openers. 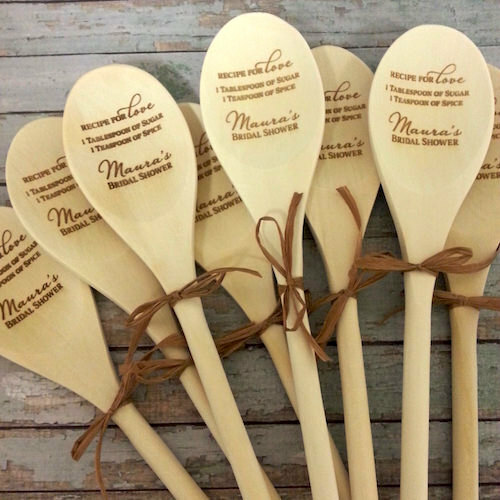 Personalized wooden spoons. 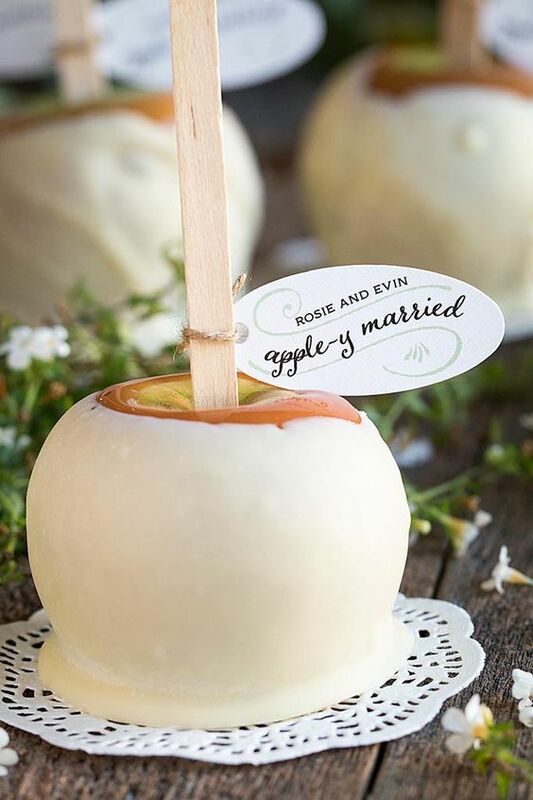 Personalize your fall wedding favors labels at Evermine! Autumn leaf glass coasters at Beau-Coup. Maple syrup favor at Beau-Coup. Wheat means prosperity and fertility in many cultures. 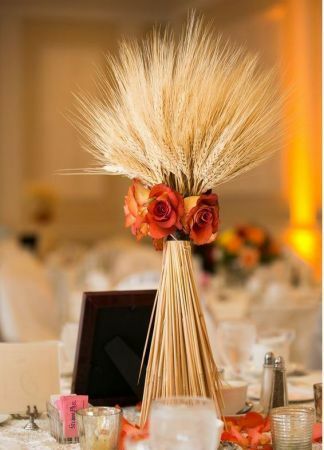 Why not start your new life with some wheat fall wedding favors for your guests? We all know it isn’t fall without the signature pumpkin spice popping up in everything from coffee to beer, to pastries. 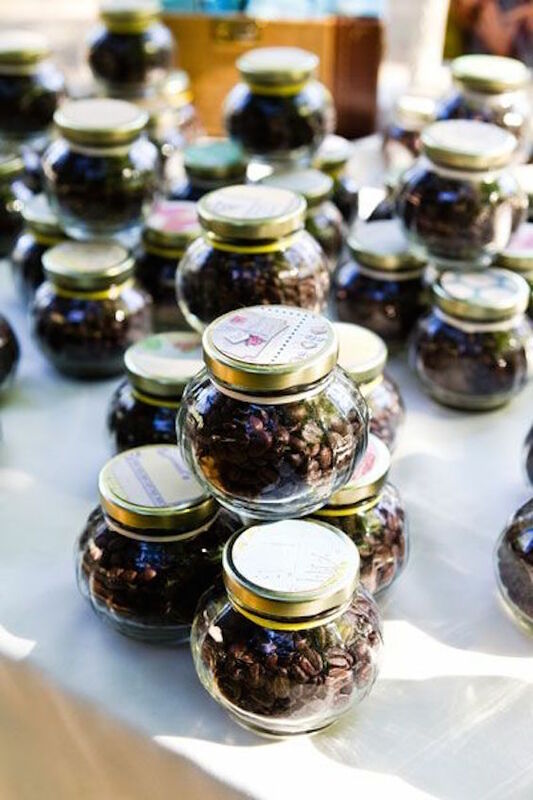 Why not incorporate that rich flavor into your wedding favors with special coffee beans, mini scented candles, or mini liquor bottles? For those that think the pumpkin spice trend is overdone this time of the year, we have a couple of original ideas. How about using the little gourds as placeholders that the guests can take home at the end of the night. These are oh-so-festive, and who doesn’t love a tiny pumpkin? 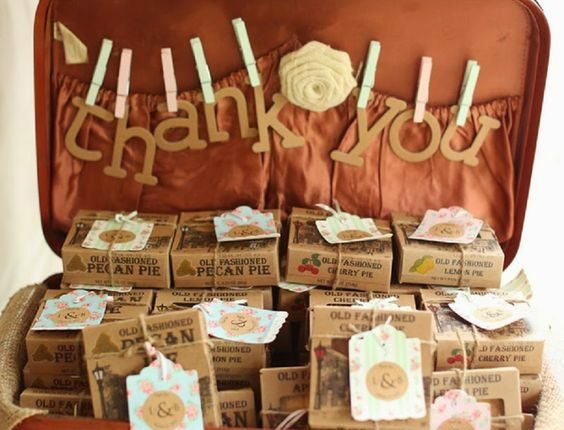 We hope some of these fall wedding favors help make your autumn celebration fun, festive, and unique! 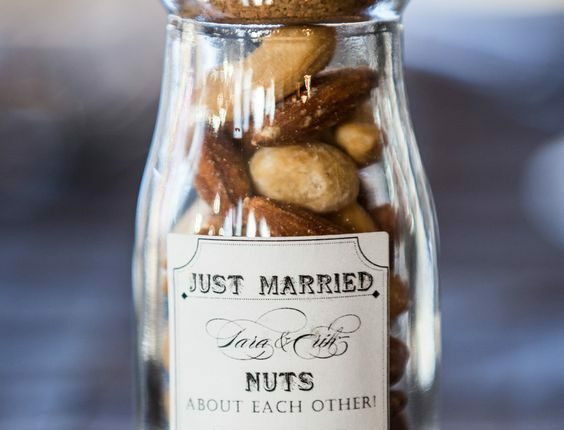 If these 24 ideas are not enough, check out these 41 personalized wedding favors you’ll have a tough time parting with! 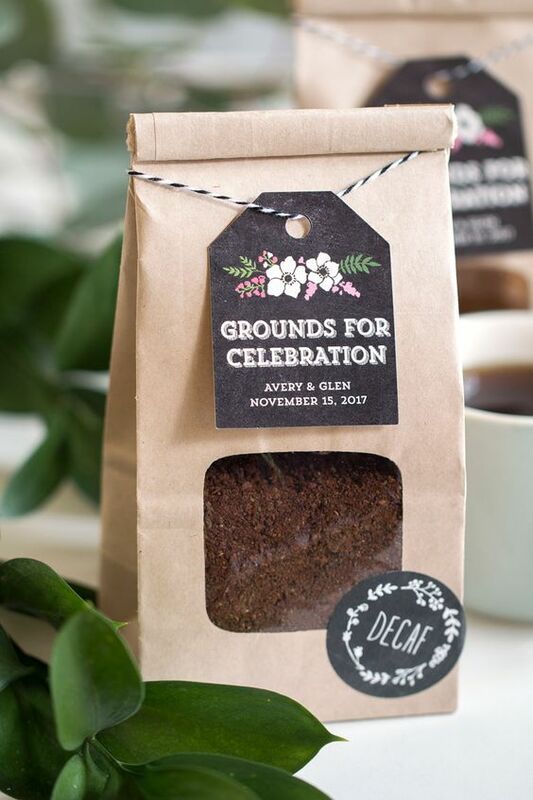 Coffee bags that are Grounds for Celebration! 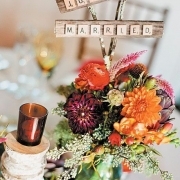 Adorable rustic fall favors for a country barn wedding. Fall is a great time to be Apple-y Married! This is the perfect season for heading out to your local orchard to pick fresh, delicious apples. 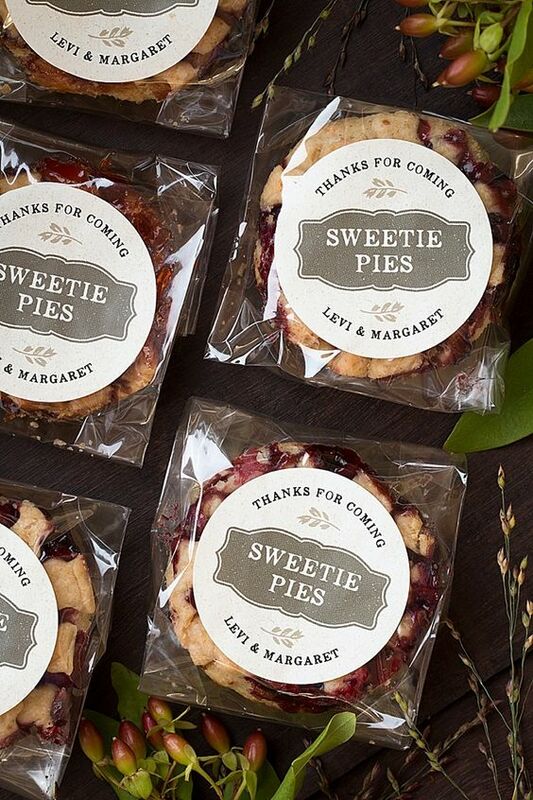 Fall wedding favors you can do yourself. 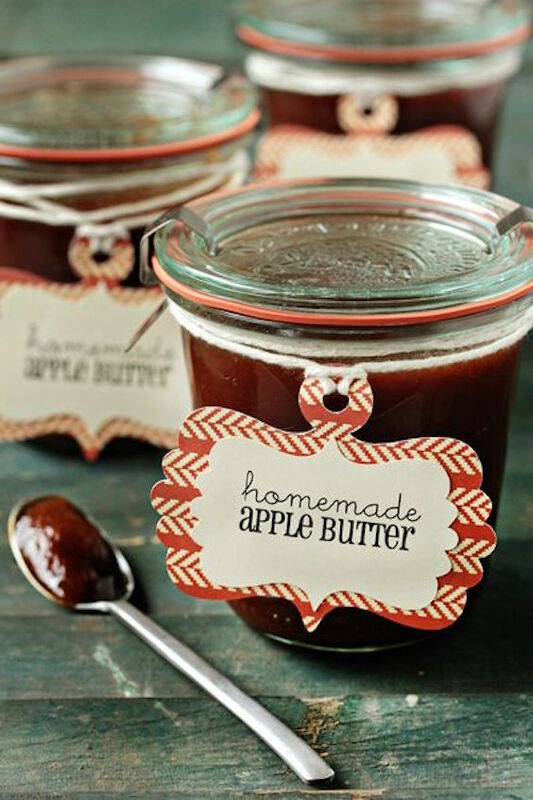 Rich and sweet slow cooker apple butter. Simple and totally delicious! Interactivity is a must at weddings. 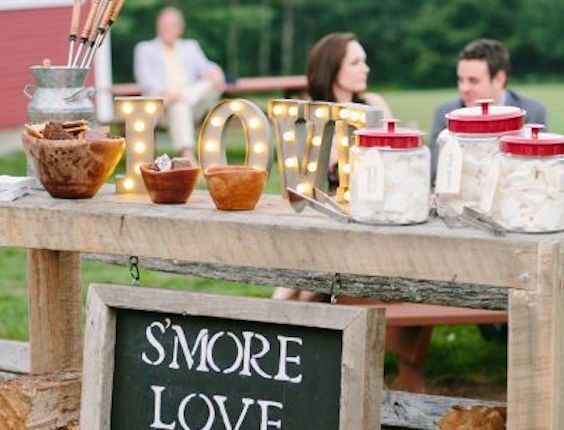 Why not let your guests pack a few S’mores just they way they like them? Little coffee jars. Wedding photography: Lily Rose Photography. 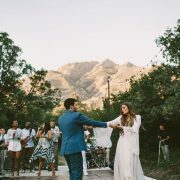 Love this idea for a wanderlust wedding. 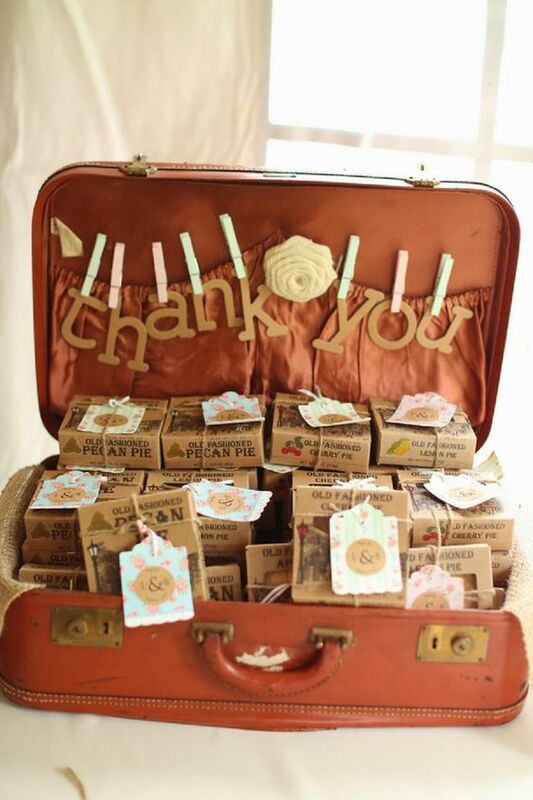 Hand out your mini pies out of a suitcase. 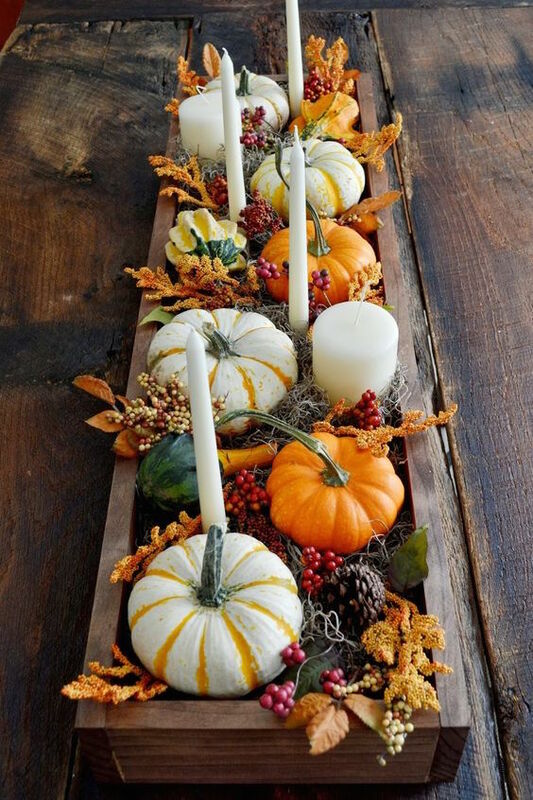 Multiple use for these cute mini-pumpkins. First as a table decor and, after the wedding, as favors. 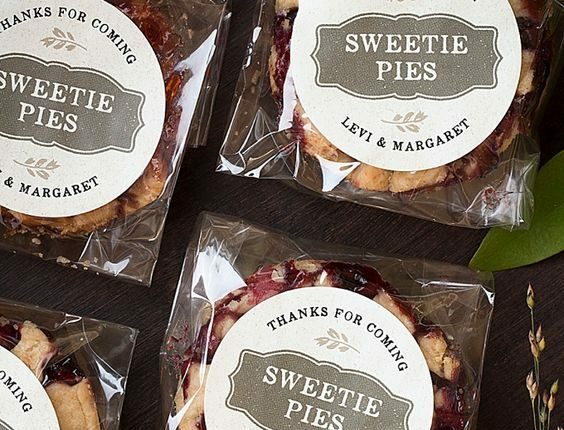 Personalized sweetie pie wedding favors. Edible and affordable at the same time! 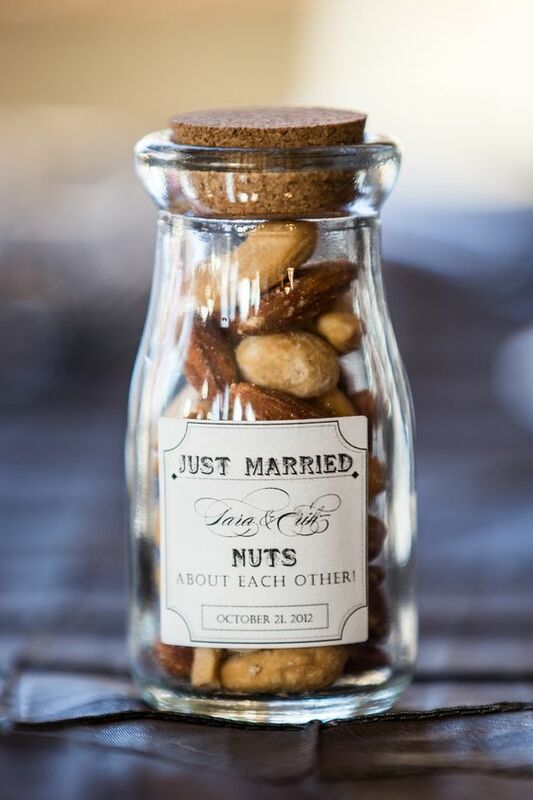 Your guests will thank you for sending them home with a jar of assorted nuts in the fall. 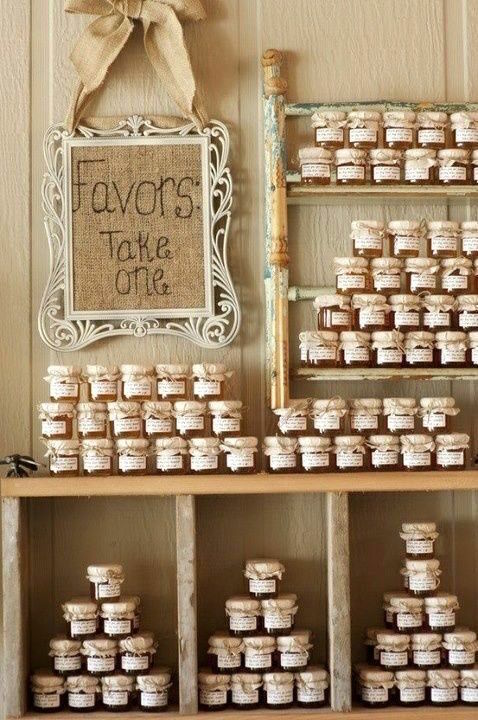 Grab hold of some old furniture and hang it from the wall to display your yummylicious fall country wedding favors. Honey in jars. 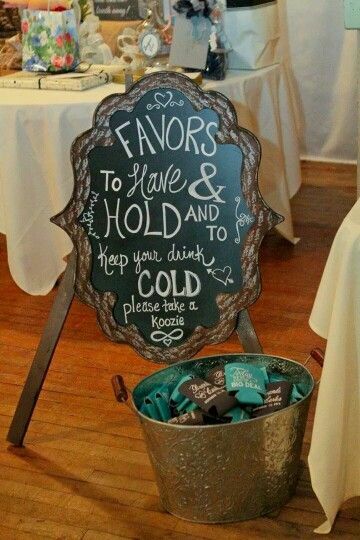 Funny wedding sign to point to your basket of goodies… errr… koozies! To have and to hold and to keep your drink cold. Wedding photographer: Kelly Beane Photography. 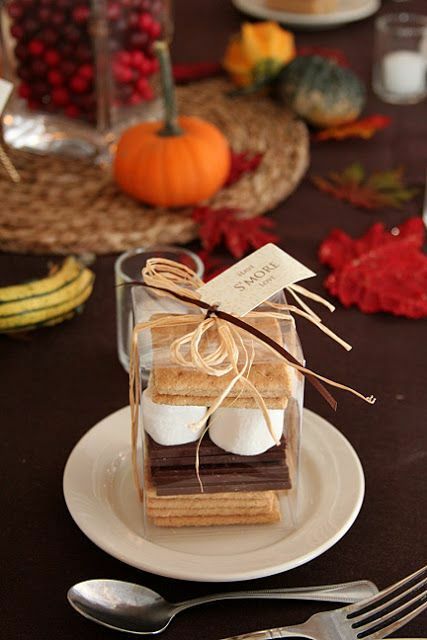 Mini kit with s’mores for the guests to build their own wedding favors. How cute is this?